We’d love your help. Let us know what’s wrong with this preview of Fate of the Stars by Arwen Paris. To ask other readers questions about Fate of the Stars, please sign up. Fate of the Stars by Arwen Paris is a fast paced young adult science fiction fantasy. The story is that of one teenage girl that end ups in the middle of an alien invasion and tasked with saving the world. Allison Delaney was attending a bonfire party at the beach but feeling a bit left out when she walked away from the crowd only to awaken the next morning to find everyone else gone. Not believing no one would miss her or have looked for her she heads home only to receive news that her mother is Fate of the Stars by Arwen Paris is a fast paced young adult science fiction fantasy. The story is that of one teenage girl that end ups in the middle of an alien invasion and tasked with saving the world. Allison Delaney was attending a bonfire party at the beach but feeling a bit left out when she walked away from the crowd only to awaken the next morning to find everyone else gone. Not believing no one would miss her or have looked for her she heads home only to receive news that her mother is ill and just having lost her father this is a rather big shock. But before Allison can digest the news aliens invade the planet and chaos breaks out as many humans begin to die. Allison’s weird sense of something having happened to her only increases as she finds herself communication with Eenoki who seems to have inhabited Allison giving her extra powers. Eenoki’s presence gives Allison an insight to the aliens and she finds herself caught up in the war. Fate of the Stars is one of those books that I pick up and cringe a bit when I see a list of characters and alien species inside the book. For me this means that the story is usually one that is complex and hard to follow if we need a separate listing to refer to. Really my guess isn’t far off as the story does get pretty complex with the warring aliens. The story is one that would probably make an awesome action movie as it jumps almost immediately into the huge scene of aliens everywhere leaving destruction in their path. My complaint though would really resort back to the previously mentioned lists in the fact that the fast pace seemed to overpower world and character building with the author slipping in the contact with Eenoki to allow Allison to suddenly know all about what was going on. I, however, wanted more explanation and a bit of build up to the events that you normally find in books as opposed to movies. In the end though it was a decent story that I wish had just gone a bit deeper in the details to match the pace of the action. Rating 4.5/5* - WOW! Hope this is the start of a new series! I admit that I wasn't quite sure whether I would like this story or not, but I am so pleased I gave it a go and highly recommend you do, too! It is a very different sci-fi page turner where the focus isn't on the aliens as much as on the unlikely heroine, Allison. Allison has had a traumatic year after the untimely and unexpected death of her father. She and her Mum are coping with grief in very different ways and have, to some extent, Rating 4.5/5* - WOW! Hope this is the start of a new series! I admit that I wasn't quite sure whether I would like this story or not, but I am so pleased I gave it a go and highly recommend you do, too! It is a very different sci-fi page turner where the focus isn't on the aliens as much as on the unlikely heroine, Allison. Allison has had a traumatic year after the untimely and unexpected death of her father. She and her Mum are coping with grief in very different ways and have, to some extent, lost contact with each other because of this. As Allison attends a beach party but, after hurtful comments from other teens attending, she leaves - only for something weird to happen to her. Unsure of what occurred she returns home . . . . only to confront her Mum who shares devastating news just before life as we know it changes as space pods carrying invading aliens land . . . .
Told from the first person view point of Allison, the story is action packed, dramatic and traumatic. Allison is only seventeen years old and isn't ready to become the saviour of the human world! Her dilemmas, decisions, actions and interactions are shared in a manner which makes it easy to relate to her as she encounters different aliens, develops new skills and strives to protect those she loves - including herself! There's danger and destruction and only by bonding with and working with Eenoki can they protect the Earth and all humans. I thoroughly enjoyed this story and really do hope that the author is going to make this the first in a series as I'd love to read more about what happens next, both on the Earth and in the Alliance. I hadn't anticipated enjoying this story as much as I did and I have no hesitation in highly recommending it to anyone who enjoys Earth based science fiction with an unlikely heroine! Fate of the Stars is an epic story of an alien invasion and an unlikely heroine. Allison is a loner, and ever more so after the death of her father. With a mother who choses to ignore her, and a best friend who's just entered a new relationship, Allison is completely alone, that is until an alien spirit named Eenoki inhabits her body. When an evil race of aliens come down to Earth and start killing it's inhabitants, Eenoki and Allison may be the only ones to stop it. I really enjoyed reading fro Fate of the Stars is an epic story of an alien invasion and an unlikely heroine. I really enjoyed reading from Allison's point of view. While she may not be the smartest character, she is definitely very determined and the character development she goes through in the book is truly amazing. In the beginning of the book we see that Allison is very shy and socially awkward. She doesn't like people very much and would rather be in her room alone than face any of her problems. After the descent of the aliens, we see Allison step out of her shell, she finally starts opening up about her emotions and becomes a stronger and more determined character, mostly due to Eenoki's help. Overall, she was a wonderful main character. I wasn't a huge fan of any of the side characters. The ones we see the most are her best friend, her mother and her best friend's boyfriend. They were all interesting and unique in their own way, but none of them stood out or really impressed me. The one aspect of the book that I wasn't super fond of was the storyline and how it played out. While I absolutely loved the beginning, especially with the beginning of the descent, I found the middle of the story to be repetitive and a tad boring. While I don't want to spoil too much of the story, I will say that the middle revolves around Allison going somewhere, and then running away, and then returning to that same place, only to run away again. It was a lot of back and forth, and while I can see why the author chose to write it this way, it became boring quite quickly because it didn't feel like the main character was accomplishing anything. Also this didn't help with the world building of the story, as we only get to see a very limited number of spaces. Overall, while it had a few flaws, I think the idea behind this book is brilliant and the main character is absolutely fantastic. I can't wait to continue reading this series and see what will happen next. Allison has recently lost her father as she is about to start her senior year. A little lost and lonely she tries attending a Labor Day beach party and it is a resounding failure... until a white light blinds her. "Eenoki is a protector of life but must have a sentient host to fight the invasion. A teenage girl would not be the best choice, but out of desperation Eenoki invades Allison’s mind and body, granting her unnatural abilities and strengths – and helping her escape certain death when the first wave of pods land." Unknown to everyone pods of infectious creatures are on route to earth and no one will be spared... unless Allison can become the earth's priestess! There is a fun campiness to this story that kept me reading... even though it wasn't what I expected! -There is this connection to memories that I thought was really intriguing. Eenoki was able to share through the mind and it made for a rich back history. -I really loved the four different alien species that were represented. I could envision each of them, especially the cat people! It's hard to create a humanoid race and yet still feel like it is another race totally. -I loved Eenoki and the idea that his people are able bonding with another race and supplying them with the power they need to save. I can see where bodies of light would cause you to seek a more permanent existence of flesh and purpose. -Katok! He is the first of the other races to see Allison in action and he realizes that there is something different about her but he isn't willing to accept it at first. I could see this guy more as a love interest than Stephen. It was an odd juxtaposition but I just liked Katok better! -There are tons of political machinations with the Alliance and seeking the help Earth needs from this body of alien nations. Allison has to take action to show the Alliance that she could represent Earth! I did struggle with the writing as it was quite flamboyant. Check out this example: “I am so sorry.” My words gush out with a sob. That poor little girl. Her death is on me, on my very soul." You see? Too much! It really verges on purple prose. At the same time there were some details quite well thought out like this description: "Aakina is massive, lean, and muscular, at least half a foot taller than me. What I thought was tan skin is actually very fine fur. Her high cheekbones slope up and give a regal Elvish shape to her features. Her leopard-like nose, wide and flat, is the most alien thing about her. Midstep, Aakina stops. Her lips curl back, revealing gleaming white fangs." I started to become increasingly annoyed with Allison... She was ALL over the place! "The idea of being a political or religious figure makes my head spin. I’m not prepared for that. I just lost my mom and haven’t even graduated from high school." She has super clear thoughts like this one but keeps harping on her mother! And who cares about high school at this point?! I'd be worried my planet will be overrun with these monsters!! Then I became disappointed in Eenoki!! See there is this pattern in the book... She gets somewhere, argues, isn't sure what to do but whines about something (normally her mom!) She runs or a variation thereof and is picked up again in meticulously explained scenes that try to mimic action. She calls for Enoki but he doesn't answer and yet she somehow manages to get out of the situation whether they let her out or aren't vigilant enough... *sigh* The WORST part of this pattern is that Eenoki is what makes this special snowflake special but he rarely makes an appearance!! GAH! LOL this book... it's fun... it's action packed and full of alien tomfoolery! It's also written oddly without beats so that you can process what happened. Action is happening so fast and it is all FIGHT! FIGHT! FIGHT! Without a pause or space of time to just take in what happens... as a result everything kind of compresses together and none of the action really stands out. BOTTOM LINE: Fluffy space invasion with some inventive alien species! Thanks to Xpresso Book Tours and the publisher for providing me with an ARC in exchange for an honest review. I was intrigued from start to end. I really enjoyed the Sci-fi elements of this novel. The world building and the aliens were described in detail. I really enjoyed Allison's character growth throughout the novel. I wish the side characters were more present. The story is very unique and I look forward to reading the next book in the series. “What the hell this yellin’ about?” he shouts, Checkout the Giveaway!! Fate of The Stars by Arwen Paris is an interesting Science Fiction adventure about an alien invasion on Earth. Allison is a young high school girl who recently lost her father and is struggling to recover from that loss. She is chosen as a host for a sentient being named Eenoki just before a vicious alien invasion begins. 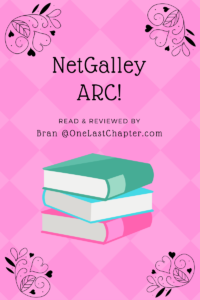 She is torn between wanting to be with her friends and family, becoming whom sh I received a digital copy free from the publisher via NetGalley in exchange for an honest review. Fate of The Stars by Arwen Paris is an interesting Science Fiction adventure about an alien invasion on Earth. Allison is a young high school girl who recently lost her father and is struggling to recover from that loss. She is chosen as a host for a sentient being named Eenoki just before a vicious alien invasion begins. She is torn between wanting to be with her friends and family, becoming whom she was chosen to be, and dealing with the responsibility of saving earth that has been thrust upon her. She must also deal with an Alliance who is trying to wipe out the invaders by taking Earth with it. Allison was such a unique character for me, as she isn't just another character who accepts things easily and sets forth to do what she was chosen to do. She constantly is fighting with her own lack of confidence, her fear, her loss of loved ones, and other factors. This made her entirely relatable, and characters like her always make me think about how ridiculous it is that many just accept the hero role without much thought or inner turmoil. I enjoyed watching her grow through out this book to learn and accept who she is, yet still have insecurities about herself and whether she is capable of carrying such a burden even. The story itself won't really surprise anyone who reads a lot of Sci-Fi. The Ma'tiok invaders and their gruesome nature definitely conjured up some disturbing images in my imagination. I thought the other races like the Vongjar and the Hytans were kind of by the numbers. One bound by honor, and the other is led by someone who isn't. Just kind of by the numbers in my opinion. Eenoki, the being who chose Allison as a host was probably the most interesting, but I wish a bit more was revealed about him as a whole. As for the writing, I struggled with it a bit in the beginning. I felt like Paris spends a bit too much time being over descriptive. It kind of takes away from allowing my own imagination to conjure up what I'm reading about, and forces it a bit much. Much of the first half of the book is lacking in a lot of conversations, and it is just the reader following what Allison is thinking and seeing about what she is experiencing. I found the second half of the book much more interesting. The general pace of the story picks up, and things become more interesting as she learns her role in everything. Where I found myself taking breaks early on, I couldn't put the book down once I hit that halfway point. Overall, Fate of the Stars is a really good YA debut. Allison as a character makes up for some story shortcomings and early pacing issues. I truly felt empathy for her, and just connected with her as a protagonist. By the end of this novel, I found myself eager for the sequel to see how her journey continues. For Allison's character alone, I would recommend this book for anyone looking for a quick and enjoyable Sci-Fi read. Cover Thoughts: It definitely emanates Science Fiction in a very stereotypical way, but I love how the book showcases Allison's eyes. Her eyes help grab your attention when I don't think I'd have given this book a second look with them missing. I do wish the the little quote wasn't there at the bottom, as it mimics the overly used phrase from Uncle Ben in Spider-Man. I suppose let’s start with some main points I just can’t get my mind off of. Firstly, the pace. The entire book happens in one week, and so much happens – like full-on, jam-packed invasions, war and mayhem. It’s intense. But also, I don’t know if It suited the story well – in the sense that, as I was reading, I felt a bit of disconnect to characters because maybe there were points that were too fast-paced. Our main character, Allison, has just lost her father (who we never me Where to begin really. Our main character, Allison, has just lost her father (who we never meet) and continuously goes on to lose more and more people. And by people I mean people who are close to her but also people she meets for two seconds, grows attached to and then they disappear for the rest of the book. I don’t know if they’re dead or if they just moved on and maybe they’ll come back later, but yeah, that wasn’t fun sitting in the back of my mind as I was reading. I kind of got Star Wars vibes to be honest. But I don’t know if it was in a good sense – was it just too similar to have a planet killing machine with very little difference to the Death Star? (Except that this one had precision, and didn’t just explode the whole planet) I’m still wondering what I think about that one so this part of my review may be edited later. Katok and other alien characters. I get it, political intrigue and wars have a lot of people. But I don’t remember half their names because I couldn’t really keep track with all these different syllables. BUT I did love Donoth, he was adorable and I want to see more of him. The storyline itself was a bit jumpy i found. One moment she was running somewhere then she was on a ship but then she was back on Earth then not and just, it was very disorientating. It was also kind of predictable, there were no moments of “oh my god plot twist” that I hadn’t already guessed or possibly just didn’t make as much of an impact on me as it was intended. Still, the concept was enjoyable and I think if character development was a bit more well-executed then this would’ve have been a solid 4, but I can only give it a 3.5. If you are looking for action, bravery, some humility and a teenager left to fight for your world than look no further. This story is chocked full of Earthlings fighting against aliens who only want our destruction and a second alien race who only want to annihilate them all. But there is an Alliance of Aliens who seem to have their own agenda. What is a teenager to do when she wakes up with another alien’s conscience with hers? She learns to fight. But as a teenager not even finished with high If you are looking for action, bravery, some humility and a teenager left to fight for your world than look no further. This story is chocked full of Earthlings fighting against aliens who only want our destruction and a second alien race who only want to annihilate them all. But there is an Alliance of Aliens who seem to have their own agenda. What is a teenager to do when she wakes up with another alien’s conscience with hers? She learns to fight. But as a teenager not even finished with high school, she doesn’t know where to begin and who to trust. Her mother is dying and her father had already passed away. All she has left is her best friend. But she can’t help her. Allison is being tried and tortured in her race to save her piece of Earth! Allison does find some help with the Vongjar people. They believe she is a Priestess because she can suddenly telepathically talk to them and can fight with their weapons. But Allison needs a little boost in believing in herself and needs to learn to bond with Eenoki if she is to help Earth and stay alive! The struggle for Allison to figure out what to do makes her grow up very quickly. But she is still a teenager! Every minute is packed with description of Earth being attacked by these aliens and a lot of action. The characters personalities stand out and make it more believable. The book is written in Allison’s Point of View with Eenoki’s thoughts with hers. The book is a fast read, I tore through it quickly as it kept my attention. This is a beginning of a great series! I can’t wait for the next book! If you like science fiction, a teenager who tries to believe she can help and does her best with her own frail beliefs in herself, Aliens who believe in you and will die for you, fighting for what is right knowing there may be little hope, action, the navy, and heroes then this might be for you! This was a quick read spoilt by the characters lacking depth. Disclosure: I was kindly given a review copy of Fate of the Stars by Xpresso Book Tours for taking part in the tour. This in no way affects the integrity of my review and as usual, all my comments are my honest opinion. Fate of the Stars was an exciting and exhilarating read. I love sci-fi novels and the beautiful cover really appealed to me-luckily it did not disappoint! The story is told in first-person which gives it a personal and immediate feel. From the very first chapter, I felt like I was Disclosure: I was kindly given a review copy of Fate of the Stars by Xpresso Book Tours for taking part in the tour. This in no way affects the integrity of my review and as usual, all my comments are my honest opinion. The story is told in first-person which gives it a personal and immediate feel. From the very first chapter, I felt like I was transported to Allison's world and wanted to find out more about her. She is quite a shy and withdrawn character at the beginning of the novel, still reeling from the sudden death of her father and struggling to cope with her mother's emotional disconnection. She is trying to put on a brave face, but she feels like she doesn't belong with the care-free teenagers enjoying summer beach parties and letting their hair down. But suddenly, all of Allison's problems are overshadowed by the huge threat of an alien invasion and the world as she knows it comes crashing down around her. Now it's all about survival and keeping those she loves safe. I really liked how I was thrown into the action almost straight away. However, at times it did seem a little rushed and I had to read some parts over again to understand what was going on. Paris' writing is rich and detailed and she creates a vivid picture of the devastation following the invasion and of the mysterious creatures called the Ma’tiok who are taking over and viciously attacking everyone in their path. I enjoyed learning more about the Vongjar and the Hytan. The concept of Eenoki taking over Allison's body was really interesting as she offers a different perspective on events and gives us extra information and background on what is going on. It also means that Allison gains extra abilities such as super speed and strength that allow her to act heroically. But at the same time, Allison is still a teenage girl who is never at ease with these new powers, always questioning who she is becoming and whether what she is doing is right. I really felt for Allison as she goes through so much and literally has the weight of the world on her shoulders. I didn't really relate to any of the other characters as much as I did to Allison, probably because we see everything from her perspective. I also wasn't a fan of the love-triangle element because I think that's quite overdone in YA and didn't really add anything to the story. Luckily, it didn't dominate the plot, which was mostly focused on Allison's journey to becoming more strong and assertive and the huge decisions she faces. The plot was good, but there was a section in the middle that was a bit slow-moving and frustrating and there were some unanswered questions at the end. I hope that there will be a sequel to tie up some of the sub-plots. Devastating news on the personal front is followed by devastating loss on the communal front, when more lights appear in the sky. The bestial and bizarre Ma’tiok seem to have no control over their ships. They crash wherever, disgorging four-footed, needle-mouthed hunters that tear into anyone they see. Their bite proves infectious, turning the victims into some sort of psuedo-zombies, and the creatures themselves rapidly reproduce in a most unusual way. The little Ma'tiok are just as lethal as their larger dams. Then come the other ships, bringing bipedal leopard-like warriors that hunt and kill the Ma'tiok. During the first attack, Allison managed to get to a ship out at sea. When she realises her mom is back ashore, she leaves the ship, heading to the old nuclear bunker under the library. That journey turns into one of discovery, as she learns she is hosting an alien presence within herself, one that the second group, the Vongjar, rever. In exchange for help for her mother, Allison agrees to learn to work with the Xeenci called Eenoki, the advanced soul now sharing her body, for the Vongjar believe that only in times of great universal crisis will a second Xeenci appear. Question is, how does Allison reconcile her humanity with the weight of this new status? And, of course, there are those who do not believe her a worthy host, though Eenoki chose her, out of the millions of others out there. I don't usually enjoy alien invasion stories, because the aliens are often left as just that- alien. The Ma'tiok are, don't get me wrong. They act like mere animals, yet they've achieved spaceflight, or someone shoots them into planets to wipe it clean. If the latter, who controls them? If the former, what of their culture and motivations? However, the introduction of the Vongjar and Hytan species changed the dynamic. Once Allison is among the Vongjar, we learn of their culture. The Hytan as well. They cease to be faceless. They become beings whose goals and ideas we can admire. Allison learned the hard way, just how terrified of the strange and unusual most humans are. Her growing bond with Eenoki gave her abilities beyond her known ken, and altered her appearance just enough to fall under the “too different” category for the survivors. Both of these things turned this into a very interesting book for me and I'm looking forward to continuing it! Fate of the Stars by Arwen Paris was a thrilling young adult science fiction and fantasy that I enjoyed for what it is. What happens when a teenage girl finds herself knee-deep in an alien invasion and is the only one who can save our world? Allison Delaney was trying to escape the horrors of the previous year by being a teenager and attending a beach bonfire. When she discovers that the waves cannot wash away the horrors of her past, Allison wanders off to find respite and solace in her own company. To her dismay, Allison discovers that no one is around on the beach when she wakes up the next morning, so she heads back to her own home. Allison discovers that her mother has fallen ill and the sudden loss of her father rails at the inside of her heart causing her to feel that pain all over again and the overwhelming feeling of losing her mother as well. Insert chaos and drama into the story with an alien invasion that decimates the human population. Allison starts to think she has an extra “Spidey sense” since things are happening that only affects her and no one else can explain. This could be affirmed when she finds she is able to communicate with Eenoki who helps glean an insight into the invasion thus thrusting Allison smack dab in the middle of the war. I’m a huge fan of Fantasy and Science Fiction but this book kind of fell in the middle of the road. It was neither spectacular or deplorable, but very average and non-complex in its character development and world building. There were a vast array of alien species and there might be a few too many to keep track of. I did enjoy the fight scenes and came to feel for the main character. There was a feel of a rushed plot line and an overload of information in the beginning. I wanted more explanation and more of an insight into the complete story instead of the rushed this is what is going on and here’s what’s going to happen explanation from Eenoki. Overall, the book just needed some extra editing and some more” fluff’ to push it into the higher star ratings of accomplished books in this genre. Though it may not be at the top of my list, I could see recommending this story to someone who is looking to get into Science Fiction YA books for the first time as an introduction. I feel like people who are totally immersed in this category would not appreciate it as much as those who are just starting to delve into this genre. The cover of this book is exquisite and really draws the eye for further investigation! Fate of the Stars intrigued me from the start... when I read the synopsis. Thought it was an interesting sci-fi storyline. Well, no regrets there... I was pulled in to Allison's plight when her home is invaded from beyond the stars. When a dangerous situation plunges her into an incredibly difficult decision with lack of or no knowledge and/or information to help her. Moreover, Arwen Paris skillfully describes these invaders with great detail... enough to get the imagination going. It is a life and death situation that Allison is thrown into, and she has no choice. Well, she does, but her options look awfully dismal...haha! Anyways, the character development is well written and evenly written out for all characters, even minor characters alike, evenly, particularly to the importance each one has to the storyline. With each description, the imagination's eye is able to capture a visual, even an idea of the strong personalities these individual characters have that Allison encounters. Arwen Paris also effectively describes the different aliens and their personalities. Not only that, the descriptive writing in laying out the setting almost placed me "smack dab in the middle" of this chaos...haha! I got the feel of Allison's desperation and exhaustion as she fights to keep her loved ones... and the entire human race... ALIVE! Disclaimer: I received a complimentary copy from the author/publisher but all opinions are my own. I have to say, this book wasn't what I was expecting. It took a completely different turn then what I was going for and, it was pretty good. So I'm mixed with this book, it was vastly original, but it also had some typical YA annoyance that took away from the epicness of the plot. The world is in the process of ending. Creatures are infecting humans, Allison is taken over, in a somewhat like "The Host" fashion, (All for it doesn't completely take her over, which is misleading in the synopsis. ), and for some reason, there is a freaking love triangle. Why.. just Why? There was no need of it. To me it felt like it was placed there to created drama. The world is ending! What more drama do you need? It wasn't in the story long, but long enough for me to roll my eyes and speed read through it. The ending made me mad. Like the last few chapters of the book where freaking amazing, and then it ended. Like, it stopped before I felt the story had concluded. I had to go check the page count online to make sure I wasn't missing anything. There's a hug chunk of the story that still needs to be told. There better be a second book, or an extended version to explain that mess up. Other then these two things, I was quite please with this book. Allison growth through out the story is steady and realistic. She's a fighter, despite all that she has lost, she stood tall and didn't back down. I do wish that we got a little more time to get to know her mom. I felt like she had more to give, and as a person she could have been so much more to the story then, what ultimately happens. What got me, was that this story itself stars out like a normal YA, but it isn't. It broke free of the typical mould and ventured into the unknown. It was like Jupiter Ascending meets Star Track. The plot and story is truly one of a kind and I highly recommend you take a change on this amazing, sci-fi. I zoomed through this book in one night! I'm usually not into books about aliens, but this isn't like Star Trek or anything like that. Yes, there were aliens, but they were not the main focus of the story. The story focuses more on Allison, who is a teenager who must learn as she goes, after stepping into a gigantic role that initially seems impossible. This book was AWESOME!!! The author did an excellent job of world building and explaining about the aliens, their different culture, and their mot I zoomed through this book in one night! I'm usually not into books about aliens, but this isn't like Star Trek or anything like that. Yes, there were aliens, but they were not the main focus of the story. This book was AWESOME!!! The author did an excellent job of world building and explaining about the aliens, their different culture, and their motivations. I am definitely looking forward to reading more by Arwen Paris! I hope a sequel is in the works! I received a copy of this book for free from Xpresso Book Tours in exchange for an honest review. I was thoroughly intrigued by this blurb, I don't read a lot of sci-fi these days, but this one caught my attention, and I'm glad I gave it a go, it was a really good read! Allison is 17yr old girl, still grieving from the sudden loss of her father. She's quite shy and quiet, preferring to be in the background. Her best friend Becca is her rock and her support, her mum having seemingly disappeared into herself after her father's death. Becca takes Allison to a beach party, but she gets humiliated I was thoroughly intrigued by this blurb, I don't read a lot of sci-fi these days, but this one caught my attention, and I'm glad I gave it a go, it was a really good read! Allison is 17yr old girl, still grieving from the sudden loss of her father. She's quite shy and quiet, preferring to be in the background. Her best friend Becca is her rock and her support, her mum having seemingly disappeared into herself after her father's death. Becca takes Allison to a beach party, but she gets humiliated by some of the others there and leaves early, but something strange happens and she wakes up on the beach and its morning, and has no recollection of the nights events. It turns out that the Earth is under attack from aliens, who arrive in ships and attack the population. But there are 3 different kinds, 1 that is trying to destroy the Earth and the other 2 work together to try and destroy the other alien and save the planet. Allison has been chosen as a host for a further alien, a priestess that is very rare and will become the hope for planet Earth's survival. But she has a lot to go through before this happens, as her bond with the alien spirit is incomplete and she must prove herself, even though she lacks faith in herself. There is a lot going on here - different alien races to learn about and their cultures, lots to take in, but when you do and you get into the book it really is quite a gripping read. The world and the characters have been well thought out and and constructed and I got really immersed in the storyline. I really felt for Allison as she has a lot to contend with, especially for a 17yr old, but she deals with whatever comes her way with grim determination. There must be at least another book after this, as by the end of this book there is a hell of a lot yet to be resolved, but I can't find any mention of further books. 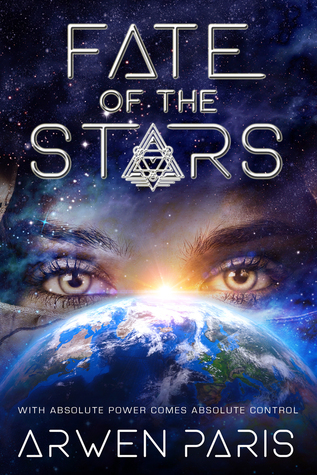 Fate of the Stars by Arwen Paris is a Young Adult sci-fi book about Allison, and 18-year-old girl, whose mind and body is invaded by Eenoki, a symbiont. It saves her when spaceships land on Earth, bringing with them a war. I really liked the protagonist, she’s not like some kind of otherworldly girl when Eenoki invades her; she’s still human, same as always, and she loves those close to her. Even though she’s afraid, she keeps fighting for her best friend, for her mother. She doesn’t want to lose Fate of the Stars by Arwen Paris is a Young Adult sci-fi book about Allison, and 18-year-old girl, whose mind and body is invaded by Eenoki, a symbiont. It saves her when spaceships land on Earth, bringing with them a war. She doesn’t want to lose herself in this battle between species and protects the entire humanity from the invaders, though it might cost her highly. You know the feeling like the world is holding its breath before the storm hits? That is how you feel starting to read this book & the little odd occurrences feed that & heighten your anticipation for the alien arrival. Then everything goes crazy & you discover how well Paris does nail biting scenes. Allison who has lost her father, has become lonely, shy and socially awkward. Not exactly the save the world material you are expecting, but I really like the antithesis. She is a charact You know the feeling like the world is holding its breath before the storm hits? That is how you feel starting to read this book & the little odd occurrences feed that & heighten your anticipation for the alien arrival. Then everything goes crazy & you discover how well Paris does nail biting scenes. Allison who has lost her father, has become lonely, shy and socially awkward. Not exactly the save the world material you are expecting, but I really like the antithesis. She is a character you care about & root for. Her symbiotic relationship changes her. As the bond evolves, so does Allison. Exciting with great descriptions, this story deals with the meaning of sacrifice & the trust you place in yourself & others. I do not like the character of Stephen AT ALL! In my opinion he is a burden to the story, as is the whiff of a love triangle. The aliens’ history, ships etc are really interesting even though their politics & intentions are confusing. Instead of a middle slump (an affliction of many recent books unfortunately) this one has middle confusion. You know when you’re really excited to share something and you can only utter half sentences? So then you have to slow down & probably repeat yourself so others will understand you? Luckily it rectifies itself quickly. I generally read books like Star Wars and Throne of Glass. It definitely has some Sci-Fi elements as well as Urban Fantasy, it is a very enjoyable read. I also liked the fact that it wasn't slow, but it wasn't fast. It is a book I'd gladly read again. Looking forward to book 2! I tried so hard to read this book, but I simply can't. After reading 1/4 of the story absolutely nothing about it seemed interesting to me. At that point I should already begin to understand the way this world works. I didn't. I was confused and disinterested for the entire time I was reading this book. Wow what a story I loved it, so much I read it through the night and couldn’t put it down. Alison wanders off during a party on the beach, and the next thing she knows its morning. When she arrives home the next morning the first wave of the invasion starts. This is where Arwen Paris pulls you into the story with so much detail you feel you are with Allison every step of the way. The Ma’tiok were horrible creatures you could feel them chasing you as you felt for Allison. When Allison meets the V Wow what a story I loved it, so much I read it through the night and couldn’t put it down. Alison wanders off during a party on the beach, and the next thing she knows its morning. When she arrives home the next morning the first wave of the invasion starts. This is where Arwen Paris pulls you into the story with so much detail you feel you are with Allison every step of the way. The Ma’tiok were horrible creatures you could feel them chasing you as you felt for Allison. When Allison meets the Vongjar she feels she has allies, and this when she finds out more about Eenoki and how they live symbiotically with the host, and she tries to bond without success. If you enjoy a good sci-fi book with plenty of action this one is for you. We follow Allison throughout the book as we watch her grow up pretty fast. I will not say anymore so buy it and give it a go. Sigh. ALIENS INVADE EARTH! If only there were a human that a helpful alien entity could occupy and be the savior of mankind. What’s this? A 17-year old girl who just suffered a tragedy and is wise beyond her years because of it. She’s an outcast because of something she did? No worries, the smoldering hot guy is secretly in love with her and will abandon all reason to help her on her quest to get rid of the aliens. Don’t worry, another alien race comes along and wants to not only rid the Earth of Sigh. ALIENS INVADE EARTH! If only there were a human that a helpful alien entity could occupy and be the savior of mankind. What’s this? A 17-year old girl who just suffered a tragedy and is wise beyond her years because of it. She’s an outcast because of something she did? No worries, the smoldering hot guy is secretly in love with her and will abandon all reason to help her on her quest to get rid of the aliens. Don’t worry, another alien race comes along and wants to not only rid the Earth of the alien invasion, but DESTROY HUMANITY to save the galaxy. The melding or possession or whatever won’t quite work, so the 17-year old girl will only have some of the powers required to defeat both alien interlopers. She’ll have just enough power to be a threat to other humans, but not accepted by the aliens, even though this sort of thing is how their religion works. Like young adult readers see things, everything in Fate of the Stars is in black and white. Good and evil. Popular and outcast. The writing is at times concise, but other times, it’s rather purple. While I could understand why young adult readers might relate to this, the fact that the story happened to Allison, instead of her driving the story was a disappointment. The story was campy, but in a good way. Allison was understandable in the beginning, but became more and more angsty and annoying as the story progressed. The rest of the humans are cardboard cutouts, including the best friend and smoldering hunk. There was just so much waffling in this story. The story sets up a bunch of great ideas, and then pitches those ideas out the window in favor of YA cliché. I think that the series has some great potential. Fate of the Stars is Arwen Paris’ debut novel, and that shows. It’s not a dig on the author, and I suspect that more novels in the series will only get better as the author figures out what she wants to write. I dissed the story in the first two paragraphs, but that’s because I’ve read this exact same story by other authors, and they did a better job. I’m confident that with a few more books to her credit, Arwen Paris will be an excellent author. I’d totally read the next book in the series, and look forward to what this author has in store for the future. Three and a half stars. But an alien invasion turns her dreams of the future into a nightmare for survival. Allison Delaney wants to spend her senior year healing from the loss of her father, to leave the shadows of his death and her junior year break-down behind. A Labor Day beach party seems like a good place to start…but there’s more danger lurking t I received an ARC of this book in exchange for an honest review. Eenoki is a protector of life but must have a sentient host to fight the invasion. A teenage girl would not be the best choice, but out of desperation Eenoki invades Allison’s mind and body, granting her unnatural abilities and strengths – and helping her escape certain death when the first wave of ships land. Okay, so Allison is the only hope for Humanity. But she doesn't really *do* anything but get captured repeatedly throughout the novel. and then the aliens, there was either unnatural instantaneous devotion or outright fear and hatred. I just felt like they were two dimensional, villains or devotees with nothing in between. I didn't understand their motivations nor the goal of the story. Usually characters are trying to accomplish something, anything. But I felt like Allison was trapped in a soap bubble, weak and floating without direction. One of my favorite oldtime science fiction movies is "Invasion of the Bodysnatchers" (the 1956 version) and that's what this book's jacket copy sounded like so, well, I had to read it. Lo and behold, Ms. Paris has pulled off a really fun and credible take on a gloriously cheesy premise. Every campy science fiction tale has to have a hero and Allison fits the bill quite well...or maybe I should say Allison/Eenoki. In the movie, being taken over by an alien was a very bad thing but, this time, bein One of my favorite oldtime science fiction movies is "Invasion of the Bodysnatchers" (the 1956 version) and that's what this book's jacket copy sounded like so, well, I had to read it. Lo and behold, Ms. Paris has pulled off a really fun and credible take on a gloriously cheesy premise. Every campy science fiction tale has to have a hero and Allison fits the bill quite well...or maybe I should say Allison/Eenoki. In the movie, being taken over by an alien was a very bad thing but, this time, being taken over turns out to be a good thing (if the taking over is being done by the right kind of alien) because Eenoki wants to save humanity, not destroy it. Thing is, Allison doesn't know at first that she's been invaded and occupied but there are some pretty strange things happening to her. It's one thing to fight the aliens and quite another to cope with problems at home. But wait! There's a second bunch of aliens?? Allison is just a girl, trying to move past her past, when strange thins start to happen, like not re,embering entire night. But it doens't stop there. Soon there is bigger nightmare coming, strange race of aliens invading Earth, taking over and infecting people. There is more to the story. Another race of aliense comes to mix and Allison is not sure wheater any of them will be helpfull. Story is mix of sci-fi and dystopia. Everyting I usuaaly like. I really like the story, the premise and what more could have been. What I have trouble, is writing. It was hard to follow at times and More then one I was totally lost, as to what I was reading. Overall, wiht all its flaws it's still really unique and interesting story and I would love to read more about it. Allison Delaney wants just what any other girl her age wants and that is to maybe go the prom, finish her last year of school, go to college, date and maybe forget her junior year when she had her breakdown after losing her father. But all of that may not be possible after a night on the beach with her best friend and her best friend’s boyfriend. When she returns home the next morning her mother has some devastating news for her that could change her whole life. Oh and that is not all a group of Allison Delaney wants just what any other girl her age wants and that is to maybe go the prom, finish her last year of school, go to college, date and maybe forget her junior year when she had her breakdown after losing her father. But all of that may not be possible after a night on the beach with her best friend and her best friend’s boyfriend. When she returns home the next morning her mother has some devastating news for her that could change her whole life. Oh and that is not all a group of aliens or two groups who are in a war with each other have landed on Earth to continue their fighting. The Ma'tiok is infecting the humans by biting them on the necks and turning them into some sort of zombies. The other group of aliens wants to help Allison after they find out that she has another alien inside of her that makes her stronger. All Allison wants is to save the human race. So when the aliens tell her she has to go with them on their ship she agrees only if they will help her mom and her friends to keep them safe. I really loved reading Fate of the Stars it put me in mind of two tv shows Defiance and Dark Skies. Both shows are about aliens that have landed on Earth. In Defiance the humans and aliens all trying to live together and get along. In Dark Skies the people are fighting with the aliens. I loved both of these shows and I kept seeing Fate in the Stars running through my head as if I was watching a movie or tv show while I was reading it. I couldn’t turn the pages fast enough I wanted to know what was going to happen next. I can’t wait for the next book in the series or at least I hope there will be a next book and a next book and a next book oh will I guess you get my drift. The fate of earth falls upon the shoulders of the 17 year old narrator who has her body infiltrated by a friendly alien who communicates telepathically. Our narrator, Allison, is dealing with the recent death of her father and her mother's grief. I liked this book because it shows the development of a struggling young woman coming to accept grown up responsibilities and a new sense of emotional and physical strength.